Back to our regularly scheduled food blog! Today I've got a little something from one of my favorite local shops, Blue Moon! I know there's a really popular beer company with the same name, but this is something completely different. (Plus I hate beer.) 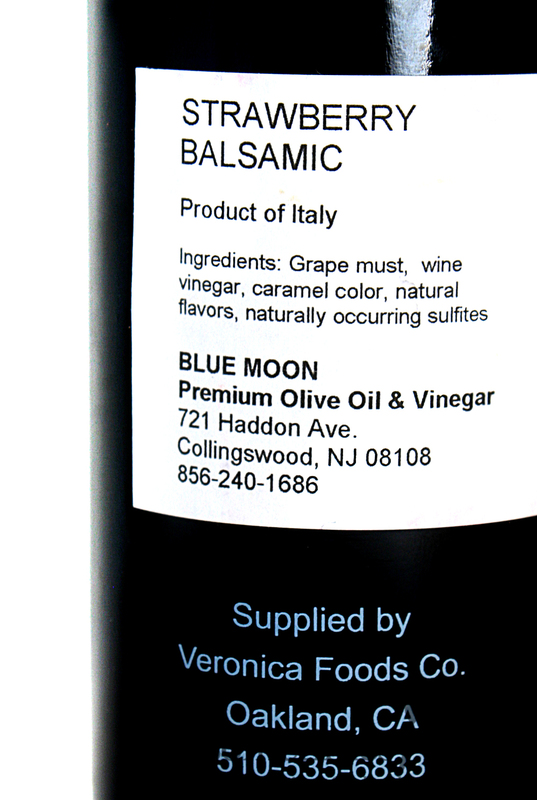 The Blue Moon I'm talking about is a cute little shop in Collingswood that sells fancy olive oils and balsamic vinegars. Get ready for a rant and a story under the cut. If you have been following my blog for a while this is old news, but I'm going to say it again in case any of you are new. I used to have a lot of stomach problems. About 4 years ago, right before I started Sometimes Foodie, my stomach pain got a lot worse and I lost a significant amount of weight. I couldn't keep food down, and the digestion process was so painful I avoided food all together. I saw doctors and had tests done, it turns out that I had ulcers and some other inflammatory issues in my digestive system. I booked a tour of Italy that summer, and I wasn't about to miss it due to my health. It wasn't against doctor's orders to go or anything, it just seemed kind of stupid and risky for me to travel so far from home when I was so weak and sick, but I did it anyway. On my trip I tried my best to eat all the fancy local foods I wanted, but without getting gross, it didn't exactly stay down for very long. I mostly survived off of fruity gelatos and fizzy water. (I miss gelato.) 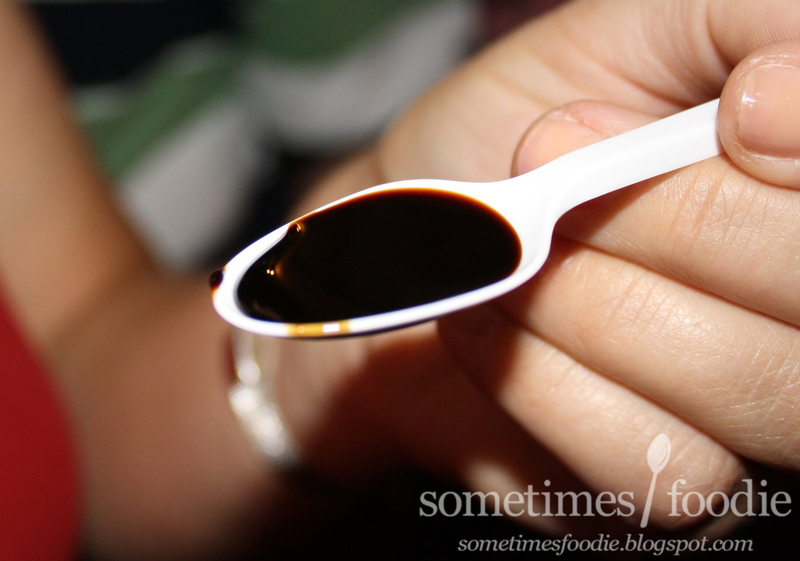 One day on our trip we went to a balsamic vinegar vineyard. Side note: I mention peacocks in my video...because I hate them. I was once surrounded by them in the Philadelphia Zoo as a child because they are free-range and like to take human food. I won't comically freak out when I see one, but I will give them the side-eye. Also, they eat snakes. Just FYI. While there, I tried some very old balsamic vinegars. The woman who ran the tour said that vinegar is known to settle the stomach and help with digestion. I don't know if it was the power of suggestion, but the vinegar really helped, and from that point on my stomach felt a lot better and I started putting weight back on. 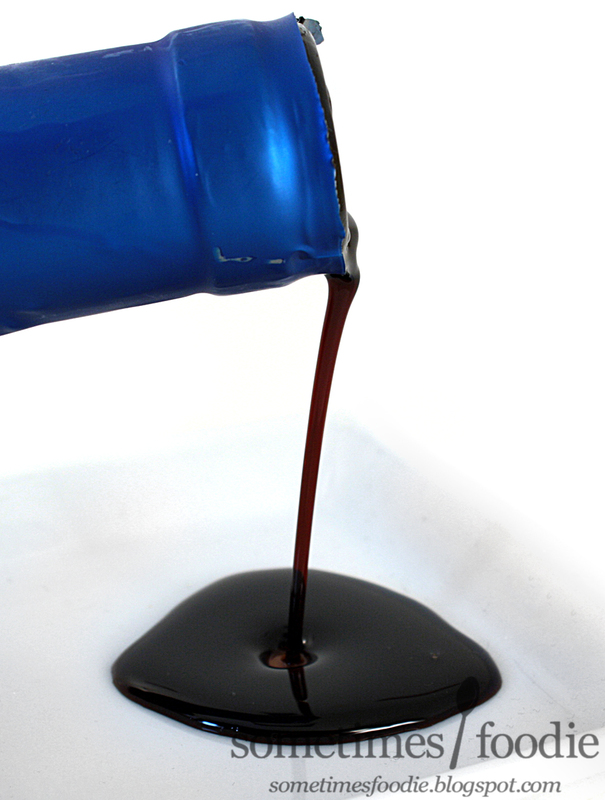 I've been drinking balsamic vinegar ever since, which sounds totally weird, but I really do think it helps. My stomach's never been better! I still get flare ups from time to time (induced by emotions or stress) but no where near as bad as it used to be. Okay, that's the end of my little story/rant, on to the review! I used to buy my vinegars from grocery stores and places like Home Goods, but Blue Moon is so much nicer. I usually grab a little bottle of their normal balsamic to sip on, but I received this large bottle of strawberry as a gift, and I'm really excited to try it out. The bottle is a dark green color, to prevent over exposure, and the logo is slightly raised due to being printed directly onto the glass. I really like how bold and simple the logo is, but I feel like the text could be a little more elegant. 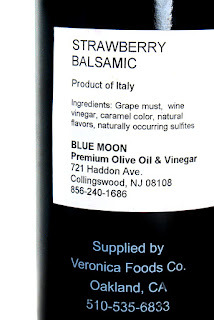 This is a wonderfully fancy product, and the current typeface is a bit too bold and simplistic to convey the awesomeness of this vinegar. Maybe if it were a bit thinner? Other than that, the blue foil at the neck mimics the blue color scheme of the logo, making everything cohesive and well put together. I popped the cork out and took a whiff. This definitely smells vinegary and there's an obviously sweet fruity aroma. From the scent alone I don't think I'd guess that this was strawberry, but you can instantly tell that this is some kind of fruit blend or mixture. The consistency is thinner than the aged balsamic I had in Italy, and it's a lovely dark molasses color. 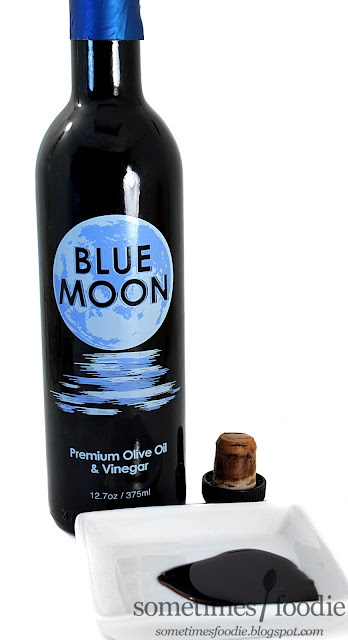 I know a lot of people use this as salad dressing or marinades, but I poured myself a little saucer-full and downed it as if it were a shot glass. It's. So .Good. I absolutely love it. It's tangy, just like all balsamic vinegars, and acidic, but also very sweet and fruity. The strawberry flavoring really comes through, and I already downed another saucer-full. I could see this tasting great in fruity spring/summer salads, since it's so bright and flavorful, but it would also pair nicely with aged cheeses. If you're weird, like me, it's also great as a topping for fruit salad and for sipping on it's own, but I am pretty sure there aren't too many people at there that do that. (I'm a special little snowflake.) I really love this store and their products, and I look forward to buying more vinegars to review on the blog. Just to let you know, I tried to click the link to your site under the post, but Avast gave me this message. Maybe you should look into it, although I don't know how you would. The requested URL contains malicious code that can damage your computer. If you want to access the URL anyway, turn off the Avast web shield and try it again. Oh boy, that's not a good sign. Thanks you so much for the heads up. I'll have to look into my site's coding. Also, this would be lovely on some strawberry pancakes! I usually make some marinated strawberries in balsamic and they are amazing. Also that sounds awesome! Sliced strawberries with balsamic is one of my favorite salads/snacks, so that sounds right up my alley!